After what feels like an eternity I was able to grab a day of rock climbing with my long time friend and climbing partner, Bob. 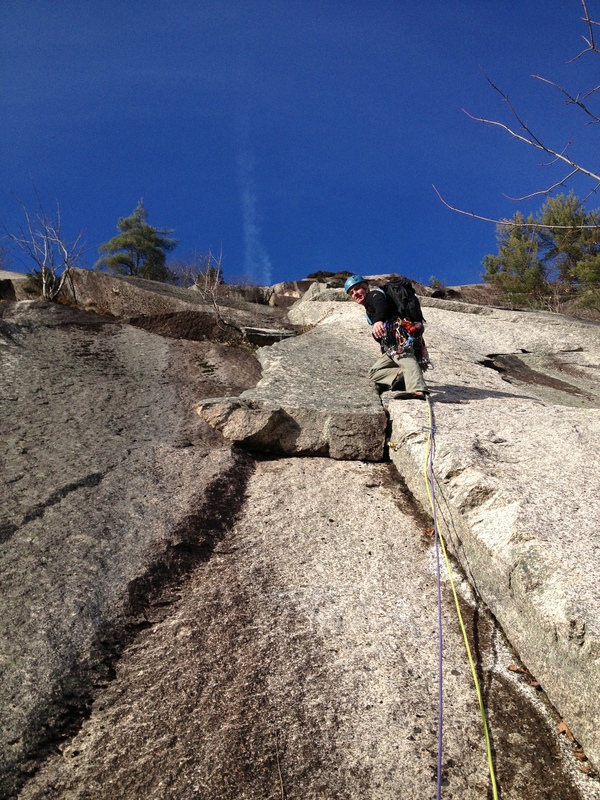 I had been itching to check out a recently developed crag not far from my home, White’s Ledge in Albany, NH, and today proved a perfect day to head out there. After dropping my son off at daycare in Conway we headed south on Rt 16 and quickly reached the White Ledge Campground parking lot at 9:30. The approach was in classic late Fall conditions, meaning slippery leaves covered the 1.7 mile steady climb to the toe of the cliff, which took us 55 minutes. Pitch 2 slowed us down a little. The route description states “Bring many very small nuts & cams”. They are not kidding! We had a normal rack with us, and without doubles/triples in the smaller C3/Alien sizes, along with some double smaller nuts, this crack is a bit hard to protect. We decided to come back for this pitch better equipped and retreated to “The Old Route“. 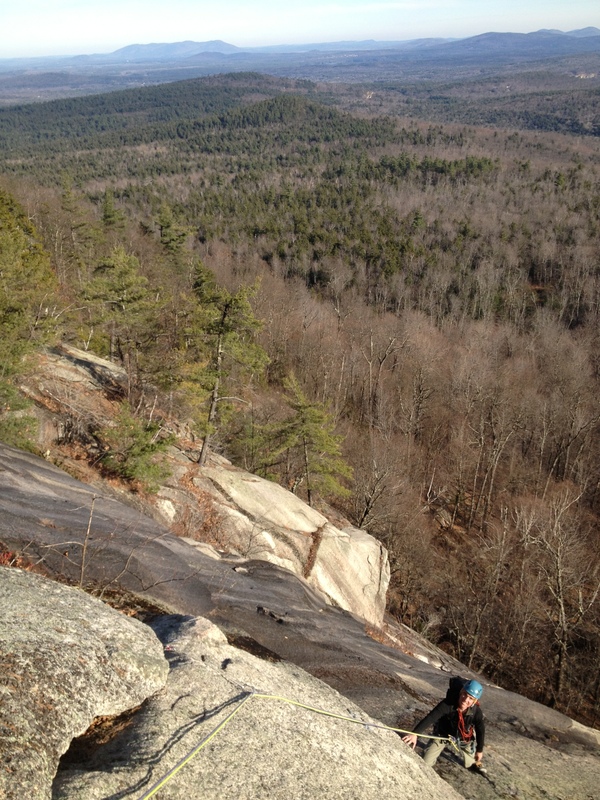 This route’s 2nd pitch is worthy of 3 stars, and we really enjoyed it! 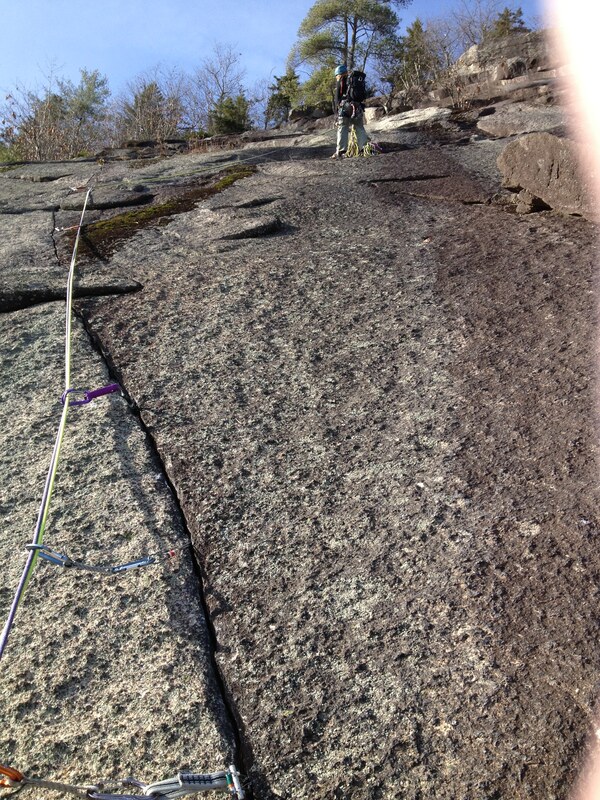 I led the easier 3rd pitch up to a fixed anchor on a pine tree and from there we rappelled. 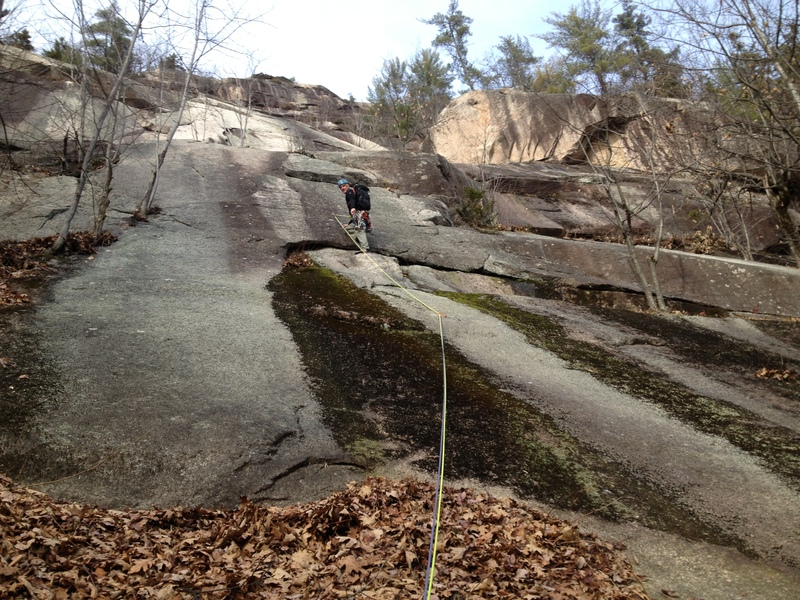 One long double rope rappel and one short rappel put us on the ground. After coiling the ropes it was a short 30 minute hike down to the car, and soon after we were enjoying a couple cold IPA’s at a picnic table in the closed campground. This is a really cool location, and I’m happy for the recent development. Looking forward to heading back there in the early Spring. Thanks James, probably heading back out there on Monday. Is Casey Bald one of you Chinos guys? 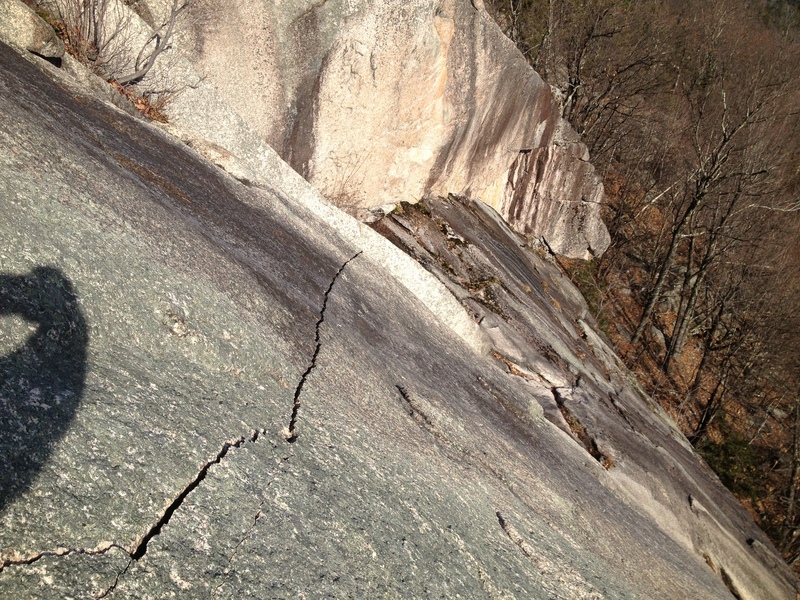 Check out some of the routes on the upper right side like walk on the white side. It’s only one pitch but its some of the best positioning on the cliff.